Joint pain. Stiffness. Swelling. 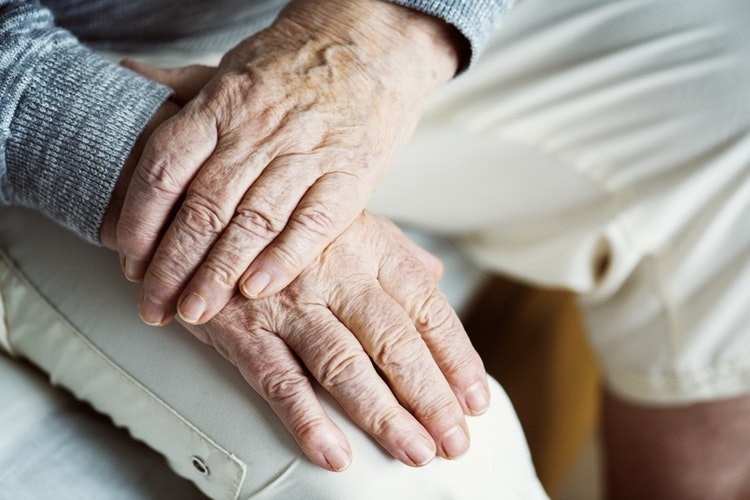 If you have rheumatoid or osteoarthritis, you’re likely pretty familiar with these uncomfortable and sometimes constant symptoms. In fact, an astonishing 350 million people worldwide suffer from arthritis, including children. If you’re doing your best to manage your symptoms and decrease sensitivity without much luck, you’re not alone. However, even with arthritis, you should be able to live life without pain holding you back. Along with a sound plan from your doctor, many arthritis flare-ups can be prevented from paying attention to your diet, in particular, what not to eat. Cutting–or at the least limiting–consumption of specific foods could help relieve some of those nagging arthritis symptoms. Don’t believe us? Try it and see for yourself. Fried Food. It probably comes as no surprise that fried food doesn’t rank very high on the nutritional value scale. While it might taste good, most fried foods are heavily processed and carry a high amount of salt and artificial preservatives, which can trigger inflammation and arthritis symptoms. Not to mention, the pronounced amount of saturated fat that is present in fried foods can be a fast track to unnecessary weight gain, placing undue stress on your joints and leading to degeneration, ultimately making your arthritis situation worse. Processed Sugars. Soda. Candy. Cereal. Sports drinks. Condiments. If you start paying closer attention to the nutritional labels on the foods you’re eating, it’s shocking to learn how often added sugar manages to sneak into the ingredient list. Processed sugar has been shown to increase pain, overheating, redness, and swelling in people who are living with arthritis. As your body’s digestive system works to process these sugars, it pulls from vital stores of vitamins, effectively depleting you of the necessary nutrition to manage your arthritis symptoms properly. Dairy. Wait– dairy is supposed to help with bone strength, right? Yes, dairy is rich in calcium, but some studies have shown that dairy actually causes tissue irritation within your joints. This one is worth experimenting with just a bit; try cutting it out to see if you notice a difference as everyone has varying reactions. Alcohol. If you’re on medication for your arthritis, you should be especially wary of the amount of alcohol you consume. Many medications do not mix well with alcohol and can put your health at further risk. Be sure to research the medications that your doctor prescribes and understand the best practices. Besides the potential medication interference, the uric acid in alcohol has been found to be inflammatory for arthritis patients. Uric acid crystals gather and build up within joints, leading to further pain and discomfort. Tobacco. Though not a food, ingestion of tobacco has also been found to be highly inflammatory for arthritis sufferers. Similar to alcohol, tobacco has been linked to interference with some arthritis medication. Be in the know– educate yourself on your medication regime to ensure you’re not limiting the effects of your pain medications. Salt. When the body retains excess sodium, it has a negative effect on inflammation. Canned and processed foods almost always carry very high amounts of sodium. Our advice? Get in the habit of reading the nutritional labels to understand just how much salt you’re about to ingest. Better yet, avoid the processed junk and cook for yourself! When you make your own food, you’re able to control the amount of salt that goes into your meals. Oil. Let’s be clear: not all oils are bad for you! However, there are certain oils that have been shown to increase inflammation, namely: corn, sunflower, soy, and vegetable oil. You don’t have to cut these out completely, but restricting their use is advised to decrease joint pain. Instead of those oils, try using canola, flaxseed, or grapeseed oil. The essential acids and fats in these omega-3 oils have been shown to actually aid in arthritis symptom relief. Another holistic approach to managing arthritis pain is the incorporation of chiropractic care. Chiropractic adjustments of the spine and joints can help realign your body to keep your nervous and immune systems functioning properly, while also relieving joint pain. There are many specific adjustments that a chiropractic doctor can utilize to customize care for your specific symptoms and main complaints. If you’re looking for ways to continually decrease your discomfort from arthritis without adding more medication, chiropractic is a great path to explore. During your initial evaluation, we’ll go over your symptom history in detail and construct a treatment plan that you’re completely comfortable with before moving forward. Schedule an appointment online or call (949) 397-6699.